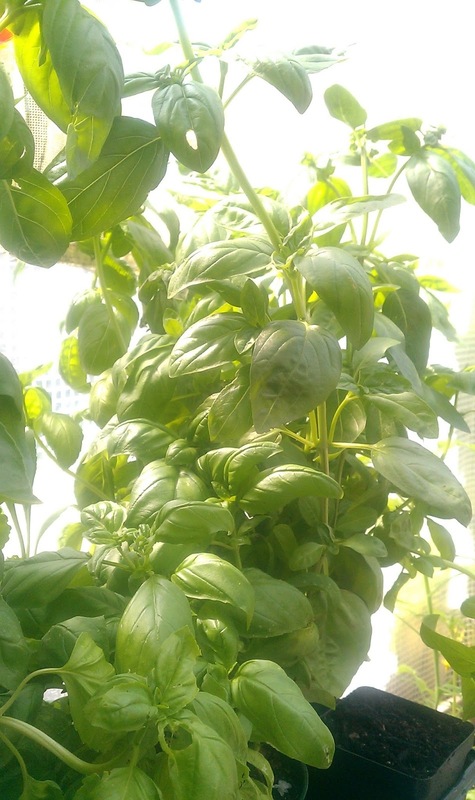 Books N Brew - WA: What do you make with all your Basil? What do you make with all your Basil? 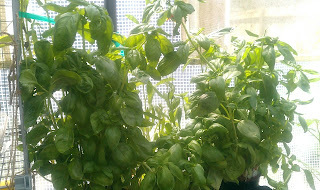 So a few months back I was at Hagens in Burlington, and they had a steal for Basil Plants. They were 2.99 each and I simply knew I was buying one. I ended up buying two. They came home with me and alongside my two other basil plants I was growing from seed, they became huge! And then I knew I was in trouble... what was I going to do with all this Basil? Last week, after I knew that daily watering was a must, and that a few were starting to bolt, I knew it was time. I had to make something with all this Basil. Being me, I've added it to Panang Curry, spaghetti, Caprese Salads, and next I'll be drying some for winter. But the jar of Creamy Pesto from Costco reminded me that I like Pesto Pasta. It's a new favorite in our household. So I figured that I'd look up how to make Pesto. An hour later I knew I had a few options. But one thing, I've heard stories about Pine Nuts, and I can recall how expensive the buggers are. So more research went into Pesto without nuts. And sure enough, I found tons of variations. 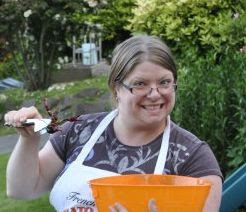 So armed with my new knowledge, and all my fresh basil and my little food processor, what I created was divine! 5. Season to taste, adding more olive oil or lemon juice as needed. Freeze in Ice Cub trays, pouring olive oil over the tops. So, now you want to know what we do with this goodness? We make Presto Pesto Pasta!! 6. 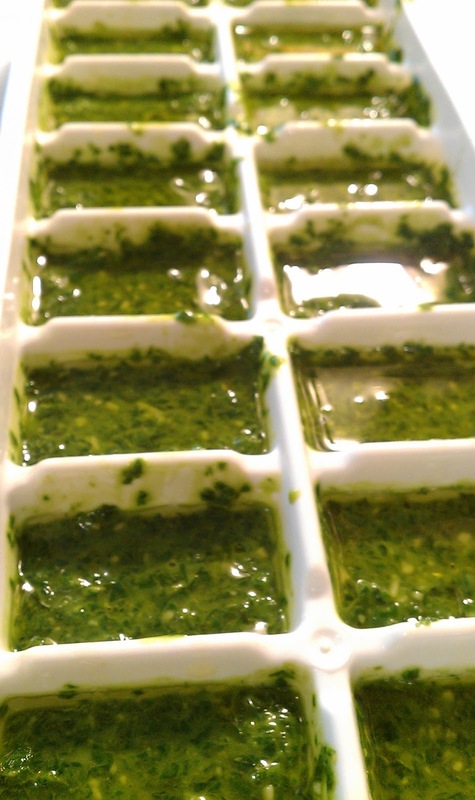 As cube thaws, add up to 2 tbsp of olive oil, stirring constantly. 10. Once coated, remove pot from heat source. 12. Serve Warm with a crusty French bread! Variations: Add Chicken, Sausage, or Prawns to make this a full meal! Sorry there is no picture of the final project. We ate it all! So.. What have you done with your Basil?